We’re spreading holiday cheer at our studio Christmas Eve. Bring your family or come with a friend. Or both! They’ll be surprise gifts for those who bring food, drinks, and other offerings. Legendary New Orleanians captured on canvas. View portraits by our Co-Collaborator, Creator, and Conspirator Jeremy Paten + 11 artists for the 300 for 300 project at The Old No. 77 Hotel + Chandlery. Come hang out at our lil’ yard sale on Sunday, November 18. First official plant swap for Black People with Plants. In collaboration with some nature-loving friends we set up a regular ol’ plant swap in a lush New Orleans backyard. Meet with us for FREE for 20-minutes during StayLocal's Office Hours on Thursday, July 12. The sessions are open to local businesses and non-profits, and StayLocal members and non-members. RSVP for a free consultation with us and other local business experts. ArtSpace3116's first monthly art market featuring a variety of local artisans, crafts, and food pop-ups. Come through and say what up! Opening up our little cave-like studio for a few days this week. 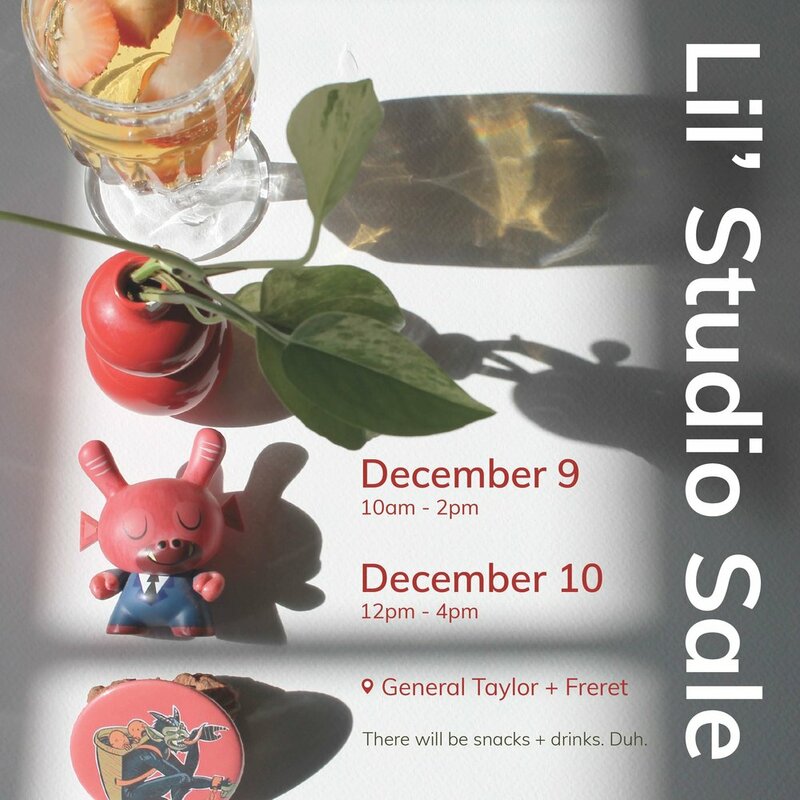 Come thru to browse deeply discounted art, buttons, clothing + home thangs. Or just stop by to say hello in-between your holiday parties, work, and errands. There will be light refreshments all three days. Come get it warm + poppin with us Saturday, December (10am - 2pm) + Sunday, December 10 (12pm - 4pm) at our little studio hangout / sale. There will be deeply discounted art, print, buttons, closet + home thangs for sale.